The slow cooker is my go-to cooking appliance no matter what time of the year it is. It is perfect in the summer for making a little pulled pork while you and the family are spending the day hanging out pool side (and it keeps the kitchen cool- no oven required!). It is fabulous in the cooler months for popping in a roast before taking the kids to school, and you know a delicious, hearty dinner will be waiting for everyone later after football practice or dance class is over. I have noticed a huge surge in readers finding my blog recently by Googling "summer crock pot recipes", and thought why not give the people what they are searching for then?? So, I gathered a few of my good food blogger gals to bring you all an entire week dedicated to honoring the ever useful, kitchen cooling, throw it in and forget it, all mighty Crock Pot. But it is not just any Crock Pot... it is a 6 Quart Digital Programmable Stainless Steel Crock-Pot and comes with a 16 ounce Little Dipper Warmer- perfect for a sauce, gravy, or dip to go with that main dish you have been effortlessly slow cooking all day! Ready to get entered in the giveaway?? Be sure you read ALL the terms & conditions below before entering. I am a stickler for them, and your entries will be disqualified if you violate them. So please follow the rules, have fun, and GOOD LUCK!! *This giveaway is open to U.S. residents only. All entries for the winner will be checked and verified, so please make sure you are doing what you are claiming in the Rafflecopter or all your entries will be voided. No funny business, folks. ;). By entering you give the right to use your name and likeness. Number of entries received determines the odds of winning. One winner will be selected. The winner will be notified via the email they provide, and will have 48 hours to reply to the email. If the winner does not reply back within the 48 hours, they forfeit the prize and a new winner will be chosen via Rafflecopter. This is a giveaway sponsored as a group buy, which means the bloggers pooled their money together to purchase this product for you. Amazon nor any of the social media outlets mentioned in this Rafflecopter are sponsors of this giveaway. The prize will be ordered and sent via Amazon from Carrie of Frugal Foodie Mama. Entries must come from your MAIN social media accounts, not accounts that have been set up separately just for entering giveaways. Entries from these types of accounts will be disqualified. Bloggers in this group giveaway and their immediate family members in their household cannot enter or win the giveaway. No purchase necessary. Void where prohibited by law. 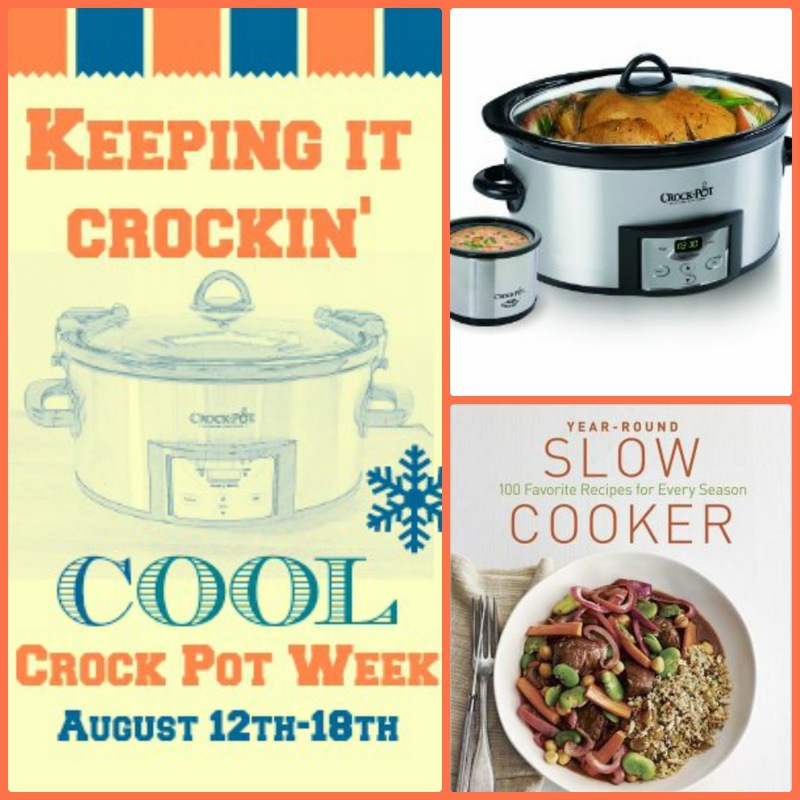 Link up your favorite slow cooker recipes below! Please only link up Crock Pot recipes. Any other recipes linked up will be removed.